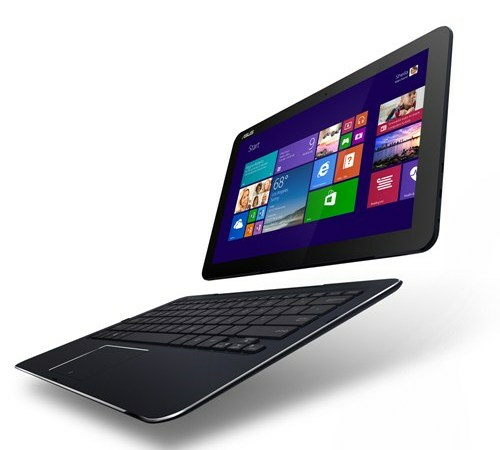 Model: The Asus Transformer Book T300 Chi could be the poster child for the mobility and performance hybrid device. It supports two modes: laptop and tablet. These are the two most used devices currently and allow the user to just purchase a single device with no need to synchronize content. The elegant device features an aluminium chassis, diamond cut edges and a luxury dark grey coating. As a tablet, the Asus Transformer Book T300 Chi weighs 720 g and is only 7.6 mm thin, yet durable. The Windows 8.1 device has a 12.5 inch Full HD 3D display panel and the image quality can be summed up with one word; amazing. The hardware consist of an Intel Core M 5Y10 or 5Y71 processor depending on the variant, up to 8 GB LPDDR3 1600MHz RAM, the integrated Intel HD Graphics 5300 and 128 GB ISSD. Without a doubt, the Asus Transformer Book T300 Chi is a very capable device even without the detachable keyboard. Audio quality is also a plus point with the built-in speakers making for an immersive experience. Other features include are a HD webcam, two micro USB ports, a micro HDMI out and a SD card reader. Battery life is impressive with a 31 Wh cell powering the device.